If you're like me - everything was ready before the baby arrival - beautiful cradle, cute storage boxes and changing station. By the 6th month you'd think everything is under control but then your precious child starts crawling, licking your shoes, hugging the glass tables, climbing your countertops and covering the whole living room floor with lego pieces... And everything in your stylish home you're so proud of has to be changed - repurposed, refininished, reconsidered... and it never ends. And you know what - I loved that! 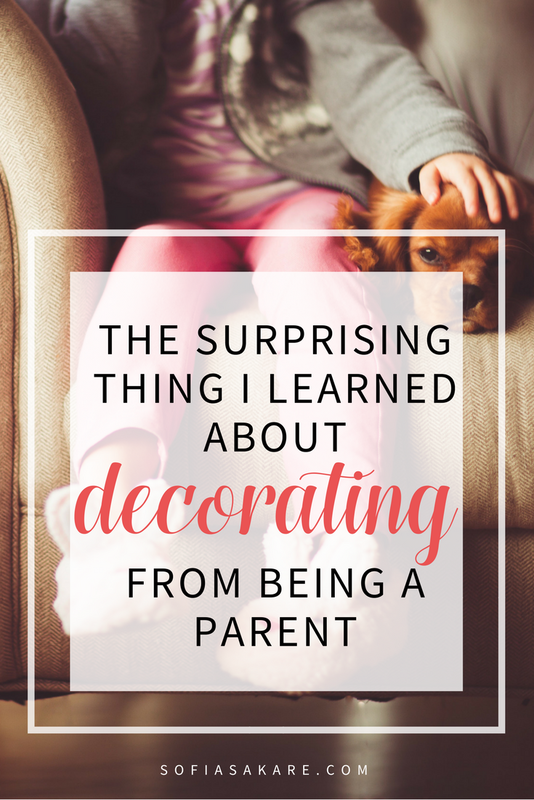 That truly surprising thing that being a parent taught me is that decorating of your home is a never ending story! It's a lifetime romance, with new struggles and challenges; new achievements and fulfillment. Our home style evolves with the experience we get from life, with all the happy and not so happy moments we share with our kids. Does the room still function properly? Is there enough space for all the activities your family is used to? What can be changed? What should I add or eliminate? What should I hide and what should be secured? Is something piling in a awkward place there? Do you enjoy being in that room? In fact - the last question would be your trigger for changes - your first sign! No joy - time to redecorate! When you spot the problem - plan your solution. Do it with joy and fun. After all, we are making these changes for better not worse. So if something seems difficult, just don't do it! You would be surprised how a new layout or some new decorative boxes (to hide the clutter) would refresh your home thus making your living there happier. Being a parent is an amazing thing in all aspects. It teaches you a lot of new things. And being your own-interior-design-expert is one of them. Your home style grows and changes with your kids, exploring new possibilities and opening new ventures. It's a beautiful journey full of surprises. And now I wanna hear from you! Please share in the comments your decoration struggles after your babies (or maybe fur babies ;)) arrive. What was the biggest dilemma? How did you solve it? Or maybe you still need an advice?! Let's find the best solution for you together!